New House Near City Center. WIFI, AC, Full Kitchen. Hi. Welcome to my house. I travel to Nicaragua once or twice a year on holidays. I hope you enjoy your stay. I currently live in Chicago US and I enjoy staying in my house compared to a hotel. I have basic furniture for your stay. I'm still working on getting more. House is located on a gated comunity with a checkpoint and 24hrs private security. Very safe area and good location for nightlife and shopping. It's a quick 5min drive into the city and a fast way out if going to Granada, Masaya, Volcano or the beach. I have people available in Nicaragua to help you with any issue or you can contact me directly any time you require it. Have fun and enjoy your stay. I was born in Nicaragua but I currently live and work in Chicago IL. I travel to Nicaragua once or twice a year on holiday. Good and Safe location, nice gated community. You can take a walk for parks, gym or small shops. 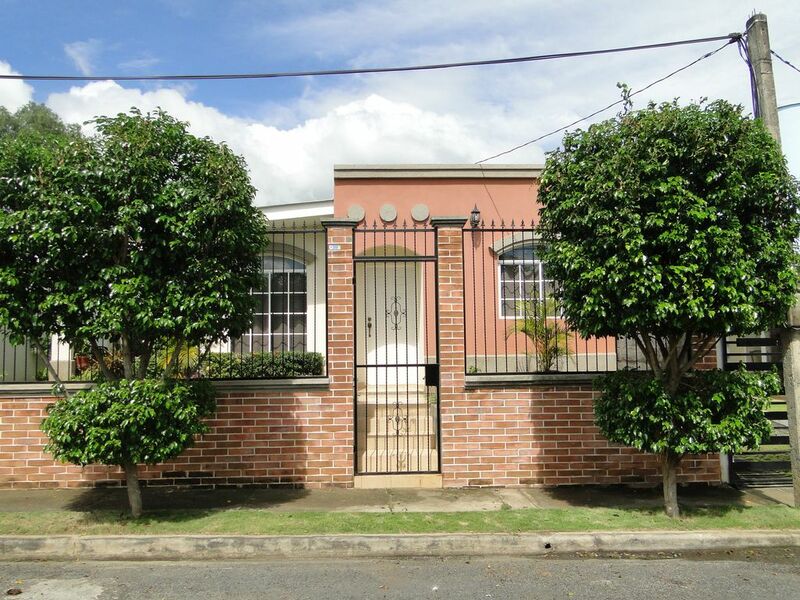 It's a quick drive into the city, close to banks, supermarkets and Galerias Mall. Nice and quiet space, not as hot as in the city, private security and entrance checkpoint. The home is really comfy, clean, and private. The TV, internet, and cell phones do not work in this home. It rains outside and inside as well. Wet tile can potentially cause a slip and fall. Thanks for your stay Damaris. We have changed the Internet provider to address this issues with TV and Internet. House is located on KM 12.3 Mayasa Highway. It's a quick drive into the city or a fast way out if going to Masaya, Granada, San Juan del Sur, Tola, etc. Close to Masaya Volcano, shopping centers and mall. Safe free street parking or you can use the one car garage available.